Traction control had been banned for the 1994 season on the basis of it being a driver aid but over the years, there had been concerns as to whether any of the team were actually paying attention to the ban. 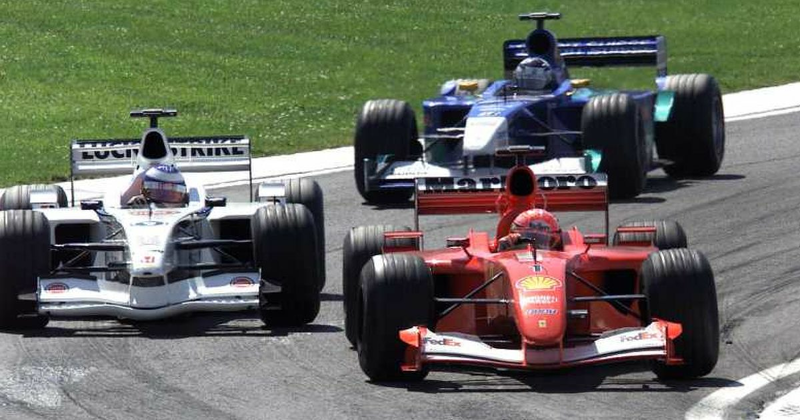 All sorts of suspicions flew around, most notably in 1994 itself when the FIA famously found traction control software in the ECU of the Benetton team. Tony Crook (born 1920) started two race, the 1952 British GP, where he finished 21st, and the same race in 1953, where he retired on the opening lap. Widely regarded as one of the greatest F1 drivers never to win a race, Jean Behra (born 1921) managed nine podium finishes from 52 starts between 1952 and 1959. Racing for the likes of Gordini, Maserati, BRM and Ferrari, Behra was a fiery character on- and off-track and was involved in a number of accidents, and lost his drive at Ferrari after a disagreement wound up with him giving the Ferrari team manager a knuckle sandwich. He died in a crash in a support race at the German GP just a few weeks later.